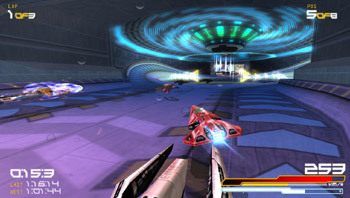 Wipeout Pure is one of my first PSP games. I must say, not being totally into racing games (I’m more of a RPG person), I found this game to be pretty exciting and entertaining for my daily commute to work. From the get-go, you have a choice of ten or so “spacecrafts” to choose from. I put spacecrafts in quotation because they look more like pen caps and paper clips then anything that resembles what people typically think a futurist spaceship will look like. It’s like someone updated F Zero and didn’t call it F Zero GX. The graphics for this game are excellent, but I use that term loosely because, honestly, I have no idea what is considered “good” graphics or “bad” graphics. To me, as long as the game quality doesn’t resemble my all-time, circa Windows 95, favorites Doom or Castle Wolfenstein, it is “good” graphics to me. Basically, anything that is not pixilated could be considered “good” quality in my book. I don’t know if there is a plot for this game; if there is one, I can’t figure it out. After picking your ship you then pick the skill level you’d like to play at; as with everything that I play, I like to keep it on easy so as to not further damage my self-esteem. Throughout the course, you collect different ammunition and shields and boosters and whatnots to smoke your opponents so that you may feel that glory of winning the gold. Each tournament has four challenging and not so challenging courses; but be careful, as you progress in the game, curves become more treacherous and sharp, and your “enemies” become more and more cunning – stealing your goodies, side swiping you…etc, kind of like driving in NYC. And, like all good racing games, you have a “health” meter. When that health meter dwindles down to nothing, you explode, just like in real life. Turn sharp left by holding right, the left shoulder button, and your nose. Is this game replayabe? Totally, since every spacecraft behaves and handles quite differently. 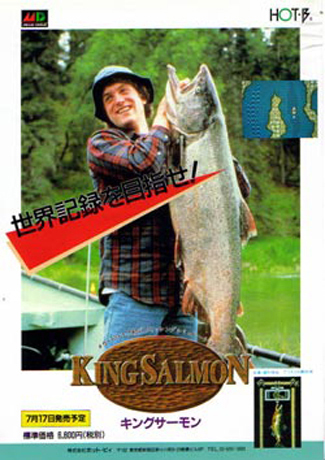 It’s probably not something you would play for hours on end waiting to meet the “final boss,” but it does entertain you during those long monotonous commutes to work. All in all, out of a scale of 1 to 10 and 10 being the most fantastic-fabulous-out-of-this- world game, I rate this an…ummm….7. The extra three points were lost due to poor music soundtrack and the lack of a plot line. It’s pretty mindless and repetitive but fun and somewhat fulfilling when you win, especially you if are as competitive as I am.